For most Nevada couples, getting married is full of excitement and anticipation. The last thing these couples are thinking about is estate planning, but once a couple is married, new financial and legal rules apply that need to be accounted for by the parties. Those who already have an estate plan may need to make changes to it, and those who do not have one are encouraged to get one. Most people are aware of the need for a will. However, there is often more to an effective estate plan than just a will. 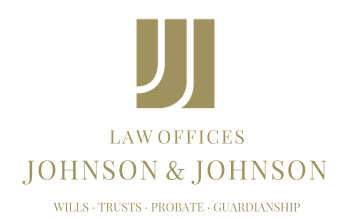 A new family dynamic may benefit from the use of trusts, prenuptial agreements, powers of attorney and medical directives. An individual is not just protecting and providing for himself or herself anymore — instructions need to be put into place to care for a spouse, future children (if that is a possibility) and any children from a prior marriage in accordance with an individual’s desires and goals. Another consideration is who will make financial and health care decisions on a person’s behalf in the event that an accident or illness makes it impossible for him or her to do so. Medical directives can outline what life-saving measures a person does or does not want under these circumstances. These instructions can be used as a guideline for whoever is appointed the individual’s agent in a health care power of attorney. A durable power of attorney will grant the agent with the ability to handle financial affairs. Without these documents, it will be necessary to obtain a Nevada court’s permission before acting, which can waste valuable time and resources. When couples get married, their thoughts are normally dominated by how they will spend their lives together — not what will happen if one party dies or becomes incapacitated. The practical side of married life may not involve discussing pleasant issues, but it is necessary. Once estate planning is taken care of, however, the parties can get back to enjoying their new life together.